Baccarat is one of the most popular casino games of all time and as such, it is played in a number of countries. Its basic rules have always been considered to be rather simple and straightforward which greatly contribute to its huge popularity. At present, this exciting game is offered by almost every brick and mortar casino as it is one of the greatest casino classics. Players also have the opportunity to play Punto Banco, the most widespread version of Baccarat, as well as other popular variations online. It is one of the oldest card games which is the reasons why it is possible to play a number of exciting variations. Nowadays, Baccarat enthusiasts can diversify their gaming experience significantly and enjoy their favorite casino game in a completely different way. Thanks to the advanced technologies and the Internet, players have the opportunity to play live baccarat and get an extremely realistic feeling at the comfort of their own home. The game is no longer available to only the upper-class members of the society as it was in the past. Nowadays, players of all types have the chance to immerse in this exciting game and try their luck by placing some of the available bets. When it comes to history of baccarat, the exact location and time, the game emerged, remain rather unclear. It is believed that it was invented in the 15th century and that it has Italian roots. However, there are still many disputes and heated discussions about this topic, provoked by the fact that not long after the game appeared in Italy, it was introduced to France. It has always been a high-stakes game and as such, it is no surprise that it gained in popularity quickly among the wealthy members of the society and it became the favorite game of the aristocracy. As the years passed, Baccarat reached various different destinations, including England, China and South America. Not long after, it became popular in most parts of the world and as a result, several variations were created in attempt to suit the players’ needs of the respective country. Initially, when the game reached France, it became known as Chemin de Fer. In England, players came to know the game as European Baccarat and the variation that was played in America was called Punto Banco. Each of these games has its specific rules and exciting features which is why Baccarat enthusiasts have the chance to experience their favorite game in various ways. The basic rules of the game can be defined as rather easy and simplified which make it extremely suitable for all types of players, regardless of their experience and knowledge. 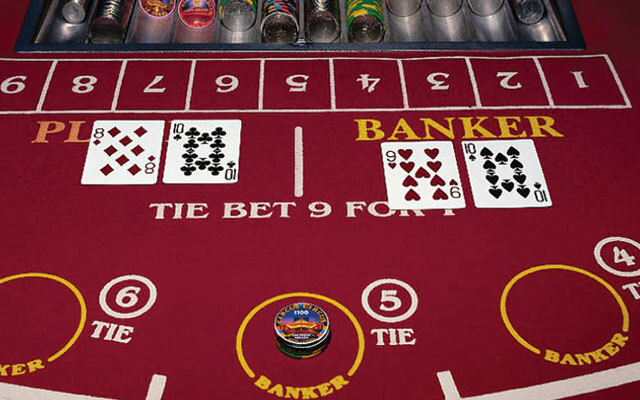 Usually, the Baccarat tables are located next to the rest of the table games or in an area, especially designed for this game. Each table has 14 available seats and two dealers and a caller operate the game. The banker also plays a crucial role in the gaming process as it is responsible for dealing the cards. Depending on the variation of the game, this role can be performed by either the casino or the players. In Punto Banco, players get the chance to be the banker at some point during the course of the game. In this card game, only two hands are dealt – the Player and the Banker’s. Each one of them consists of two cards. The objective of the game is to wager on the hand that will get the best point value, keeping in mind that the highest possible total that can be formed is 9. Players can choose from three types of bets – the Player, the Banker and the Tie bet. At the beginning of each coup, they have to make up their mind and place a wager on the bet they wish. Just like other card games, Baccarat also uses the fundamental principle of assigning point values to the card. Apart from the assigned value of the cards, players should also get familiar with the so-called third-card rule. It is worth mentioning that this rule can differ from one casino to another and usually, it is applied automatically. Baccarat is one of the oldest card games that has a significantly low house edge. In fact, its house edge is considered to be one of the lowest in the gaming industry. This is one of the reasons why after so many years, it is still one of the most played casino games of all time. However, it should be noted that the house edge and the odds of the game strictly depend on the particular variation and the casino. Moreover, if Baccarat is played online, it is also possible that its rules and house edge might be different. On the one hand, Baccarat is a card game and as such, the decks in use will inevitably have an impact on the game’s odds. On the other hand, since it is a game of chance, it is interesting to figure out to what extent exactly. In most cases, its house edge is 1.09%, providing that the game is played according to the standard rules. Another important aspect which players should take into account when it comes to Baccarat, is its wagering odds. The reason why is that the three available bets offer different odds and thus, they give gamblers lower or higher chances of winning. Besides the house edge and the odds, it is also advisable to consider the payout percentage of the game as well because players can draw an important conclusion based on this valuable information. Players have the opportunity to place one of the following bets: the Player, Banker and the Tie. Depending on their choice, their chances of winning are different. Thus, it is compulsory, prior to playing, to have a look at the odds of each bet in order to be able to choose the best betting option. For instance, the bet that is considered to be their best betting choice is the Banker bet as it offers the lowest house edge. Since this bet has proven to win the most and it is highly favourable for the players, the casinos have imposed a countermeasure – gamblers have to pay a 5% commission, every time the Banker hand has the highest total. Apart from the three basic bets that can be placed, it is also possible to put a number of side bets. Understandably, the available side bet depend on the variation of the game as well as on the casino. Some of the most famous ones include Dragon Bonus, Panda 8 and Dragon 7, Perfect Pair and others. It is highly advisable that players get familiar with them beforehand in order to be able to take advantage of them, whenever they are available. This way, they can significantly improve their gaming experience and get even more excited while playing Baccarat. Baccarat is a game of chance and as such, the outcome of every coup cannot be influenced or predicted in any way. However, players can make a difference when it comes to their funds and betting choice as they can utilize some useful strategies in order to improve their game. Players should have money management skills as well as solid knowledge about the bets. They can also increase their chances of winning by using some of the popular Baccarat systems such as Paroli, Martingale, The 1-3-4-6 System, Card Counting and others. In most land-based casinos, Baccarat players are given useful tools such as score cards and pens. Thanks to them, they have the opportunity to keep track of their money and bets much easier and to observe the pattern of the game. How useful these score cards are exactly remains a controversial topic, taking into account the fact that they are provided by the casinos. In general, the strategy that players should pay the most attention to, concerns their bankroll and their betting choice. This is the only way, they will be able to enjoy the game for longer and decrease their chances of losing substantial amounts of money, at least to some extent. Baccarat is a popular casino game which is played by a number of players globally. Thanks to its interesting nature and simple rules, it has become one of the casino classics of all time and as such, it can be found both in brick and mortar casinos as well as online. 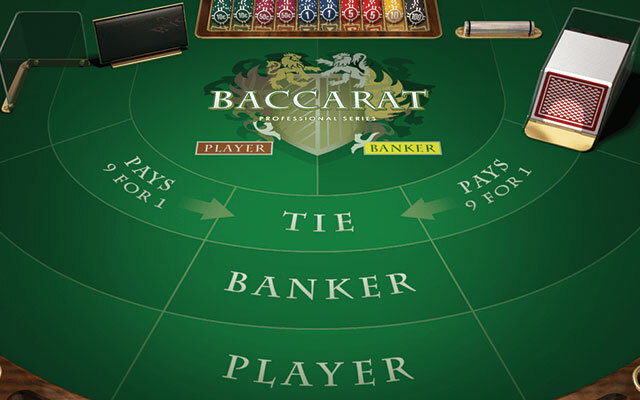 Baccarat enthusiasts have the unique opportunity to play the game at the comfort of their home and even get one of the most realistic feelings while playing online as a number of casinos also offer live baccarat. Baccarat is also famous for being a high-stakes casino game and as such, it gives its players the chance to win big while having fun. In the past, the game was exclusively offered to only the upper-class members of the society, however, times change and luckily, nowadays, all types of players can enjoy it. In many casinos, it is also possible to find a number of variations of the game which have different betting limits and rules. Baccarat offers a huge diversity when it comes to side bets which enable players to get extremely excited and entertained by taking advantage of some of the additional wagers.